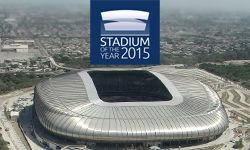 The 6th edition of Stadium of the Year competition took place between Jan 18 and Feb 19, 2016. 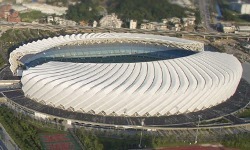 The Public Vote its second largest attendance of 37,677 participants (each person had 15 points to share between 5 stadiums by giving notes: 5, 4, 3, 2 and 1 point). Geographically the vote was most attended by users from Mexico, USA, Israel, Poland and France. Below you can see the complete list of all stadia with the number of points scored. 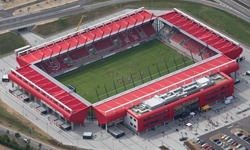 design: Perbo-Inwestycje sp. z o.o. sp.k. Voting process schedule: Your votes were accepted between from midnight, Jan 18, until midnight Feb 19, 2016 (Central-European Time). The above form is the only means of voting. Each person is entitled to cast one vote, selecting your top 5 venues (giving them 5, 4, 3, 2 and 1 point, respectively). Voting restrictions: Every user is welcome to share information or links regarding the competition, however voting may not be subject to commercial incentives (i.e. being rewarded or subject to separate contests with prizes). Any such attempts will result in cancellation of all votes coming from identified sources. Similarily, individual voters attempting to give more than one vote will not be included in the voting process at all. 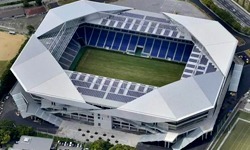 Nomination requirements: To become a nominee, a stadium has to meet several criteria. 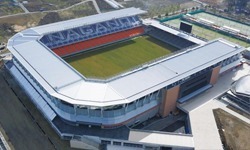 It has to hold at least 10,000 people and be opened in 2015. The latter means hosting at least one event with all stands available to the public. 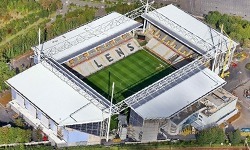 Stadiums built from scratch are taken into consideration as well as those having a thorough redevelopment. 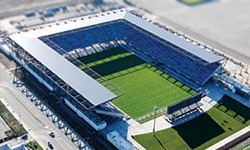 The competition is about football stadiums, which means we choose between venues that are capable of hosting a football (or soccer, if you prefer) game. They may still have running, cycling or speedway tracks around their pitch, or have pitches larger than football-specific ones. It’s the second time we include a Jury of architectural experts who cast their votes independently of the Public Vote. On February 1 we announced the 10 finalists selected for final evaluation. You can find all of them evaluated below. César Azcárate, IDOM , Spain | César Azcárate is an Architect graduated at the High School of Architecture of the University of Navarre in 1990, and holds a PhD from the same University in 2008. César is a Partner at IDOM, an International award winning Architecture, Engineering and Consultancy company with expertise around the globe. César complements his professional work through teaching Projects at the High School of Architecture of the University of Navarre from 1991. He has taught and lectured at several Universities and Professional forums and his works and projects have been published in numerous specialized media worldwide. César´s strengths lie in the conception and delivery of large complex projects as convention centers, educational buildings, offices and sport complexes, trying to deepen into the relationship between the building and the cultural and physical environments. His projects have won several awards, both as built work and competition ideas. Some highlights are: the Selections for the FAD Awards 2010 and 2006, the Honorable Mention and selection for the 8th and 7th Architecture Biennale Sao Paulo in 2009 and 2007, the Selection for the Young Spanish Architects Exhibition (JAE) in 2008, the European Landscape Prize Rosa Barba at the 5thEuropean Biennial of Landscape, the Prime City Award Urban Planning and Ecology2008of the Basque College of Architects, among others. 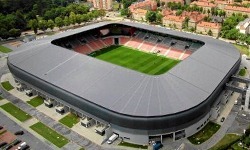 César has been the Leading Architect of the San Mames Stadium Project for the Athletic Club in Bilbao. 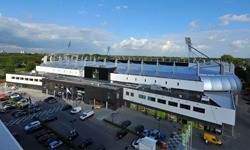 It has been honoured with several awards as the First Prize in the World Architecture Festival (WAF) 2015 in the Sport Category, the Second Place in the public voting for Stadium of the year 2014 by StadiumDB, and recently it has accomplished a LEED Certificate, being the first certified Stadium in Europe. Chris Dite, Arup Associates, Qatar | Chris is an architect with 17 years’ professional experience. 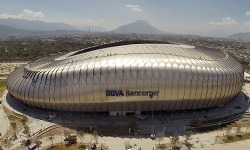 He is internationally recognised as an expert in the planning, design and delivery of major sports venues and events obtained through extensive worldwide experience in the field. 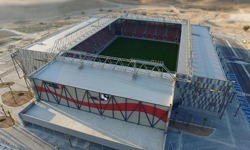 Chris is currently based in Doha as the stadium expert on the 2022 FIFA World Cup Qatar team. 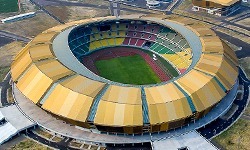 He previously held a key site role during the construction of the 55,000 seat Singapore National Stadium, central to the Singapore Sports Hub. Chris joined Arup in 2005 having previously worked with Anshen Dyer and John McAslan + Partners in their London offices on a number of prestigious projects. 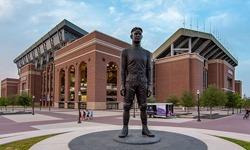 He spent time during the late 1990s in Mississippi, USA studying architecture and developing a keen interest in the sporting venues across the Southern states. When in London, Chris is a visiting lecturer at the University of Westminster, London teaching students who are studying for their RIBA part 3 examinations. 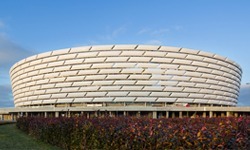 Andrew Edge, Arup Associates, England | Andrew is an architect with experience in all stages of Sports Venue design from concept to completion. He has in depth knowledge of the requirements for multiple sports including football, rugby union, tennis and athletics. 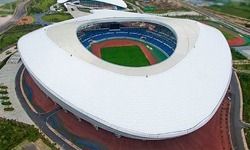 He also has overlay experience gained during delivery of the 2012 Olympics. He graduated with a first Class degree in Architecture from Manchester University in 2002 and went on to achieve a Masters degree in Adaptive Architecture and Computation at The Bartlett in 2007. Since qualifying in 2009 Andrew has obtained a wealth of experience of architecture in the sports sector. He has worked on project designs in the UK, Europe and the Middle East including the Qatar 2022 World Cup Final Stadium and the Olympic Stadium London. Andrew taught Generative Components workshops at the Manchester School of Architecture and Oxford Brookes University and is a current member of the RIBA Education Panel validating Schools of Architecture across the UK. Andrew is currently undertaking a sports related research project at Arup investigating atmosphere in seating bowls and how the spectator experience can be enhanced. Dipesh Patel, Pattern, England | Dipesh is an architect and urban designer based in London. He founded Pattern in 2009 as an experimental design-focused practice, dedicated to exceeding client expectations. His interest in the mathematics of beauty drives the practice’s process of rule-based design. 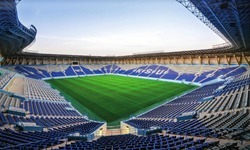 He leads the design of Pattern’s main projects, including the Al Rayyan stadium for the 2022 FIFA World Cup Qatar and the recently completed Hazza Bin Zayed Stadium in Al Ain, UAE. Dipesh was previously a director of Arup Associates and led many high profile projects including the innovative Coventry University School of Engineering and Mathematics that opened in 2013. He won the prestigious 2007/8 BD Sports Architect of the Year for Kensington Oval, Barbados. 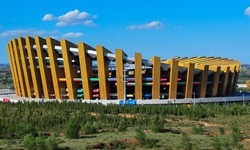 He was the lead architect for the City of Manchester Stadium venue for the 2002 Commonwealth Games and was awarded the 2002 GG2 Innovation Award for his work there. Most of his projects have a significant urban regeneration and civic emphasis. Early in his career Dipesh had the privilege to work for Sir Denys Lasdun and Cambridge Design. Dipesh is an experienced studio tutor. 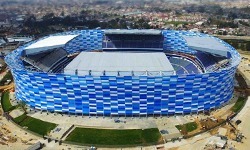 He has lectured, presented papers and written articles on stadium and education design around the world. He was a panel member of the Humber Region Design Review Panel and Client Design Advisor to North Lincolnshire’s BSF programme. He studied architecture at the University of Bath, England and Urban Design at the University of Pennsylvania, Philadelphia, USA. José Ribas Folguera, Ribas & Ribas Architects, Spain | José was born in Barcelona, where he also earned his architectural education at Escuela Técnica Superior de Arquitectura de Barcelona (ETSAV) and joined the family firm in 1987. Since then operating as Ribas & Ribas Architects, the company takes on major challenges in both architecture and urban planning. While most works by Ribas & Ribas focus around housing and hotel projects in Spain, the office has spread its activities to other countries and continents, working on large developments in Perú, Ghana and United Arab Emirates. This is where José delivered his latest stadium concept, awarded 3rd prize in international competition for Dubai’s modern 60,000-seater in collaboration with L35. But perhaps most recognized stadium work of the office is the design for Real Madrid’s Santiago Bernabeu delivered in cooperation with GMP Architekten and L35. The project is awaiting construction at the moment. 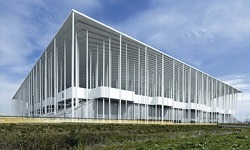 In 2010 José won the Quatrium Award for the design of Hotel Catalonia Fira in Hospitalet de Llobregat. In 2004 he was a FAD Awards finalist in architectural and interior design office building in Sarria (Barcelona). He also won the Hits Awards 2001 for Best Architectural Design by the City Metropolitan of L'Hospitalet, both of them in colaboration with Ateliers Jean Nouvel. Announcement of the result is expected on Feb 22, 2016, along with results of the Public Vote. 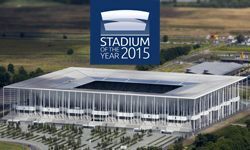 This year's edition of Stadium of the Year is supported by Nowy Styl Group, owner of the Forum Seating brand. Forum Seating is a brand owned by Nowy Styl Group – the leading European supplier of comprehensive furniture solutions for offices and public spaces. The brand's product portfolio includes auditorium seats designed for concert and lecture halls, cinema and theatre armchairs, stadium seats and telescopic tribunes. Its products are characterised by unique design and high quality, as proven by the relevant approvals and certificates. The products are comfortable, functional and durable. The brand accompanies customers at each stage of project implementation, supporting them with its sound knowledge and vast experience. 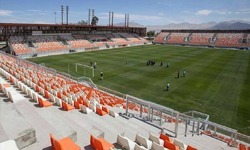 Forum Seating supplied chairs to two stadiums in South Africa where the World Championship 2010 was held and to all of the Polish sports facilities where the European Championship 2012 in football took place. 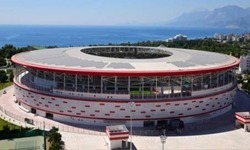 Those football fans who will watch matches at the Grand Stade stadium in Lyon and at the Allianz Riviera stadium in Nice during the European Championship 2016 will sit on the Forum Seating's chairs as well. The chairs chosen for these two sports facilities are Abacus chairs designed by Rebecca Stewart from the internationally recognised architectural studio Arup. The Abacus seats have been awarded a very prestigious prize: the FX Award. Forum Seating always adopts a comprehensive approach to every project it implements– the brand equips not only tribunes, VIP sectors and players' benches, but also press stands and halls where press conferences take place. 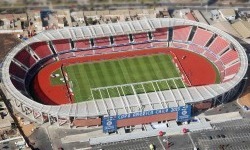 It supplies also railings made of stainless steel adjusted to the requirements of a particular stadium. 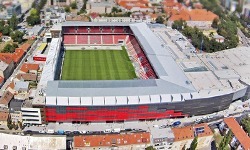 Forum Seating pays the same amount of attention to equipping both small, local stadiums and huge sports facilities with a capacity of over 59,000.